CPVC (Chlorinated Polyvinyl Chloride) pipes and fittings produced by SuperCPVC are most advanced for hot and cold water plumbing system giving numerous advantages like corrosion resistance, chemical resistance, fire resistance, low thermal expansion, safety for drinking water, freedom from leakages and wall dampening, lowest bacterial growth besides easy installation and cost affectivity. Tubing: CPVC is mainly used for processing tubing and hot water delivery and corrosion medium. It can keep enough strength if the temperature is not more than 100% and can be used for long time under higher inteinsic pressure. The weight of CPVC is only one-sixth of that of brass and one-fifth of steel. It has very low thermal conductivity. 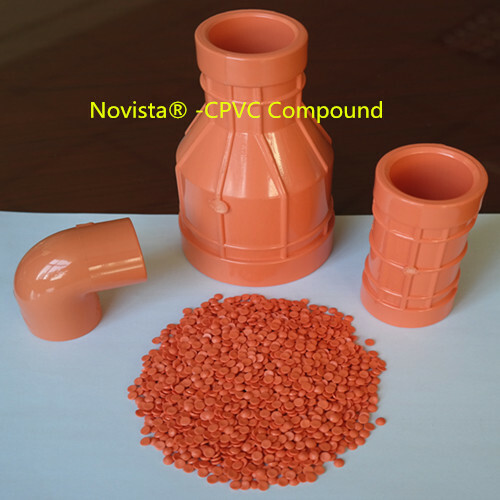 Therefore, the pipe produced with CPVC has the characters of low weight, good heat insulation performance without heat preservation. Jet molding parts : CPVC Resin can be used to produce the fittings of flow pipe, filtering material, and spin-drier etc, as well as electrical appliances and electronic parts such as wire way, conductor protective layer, electric switch, fuse closure door and insulation material of cable, etc. 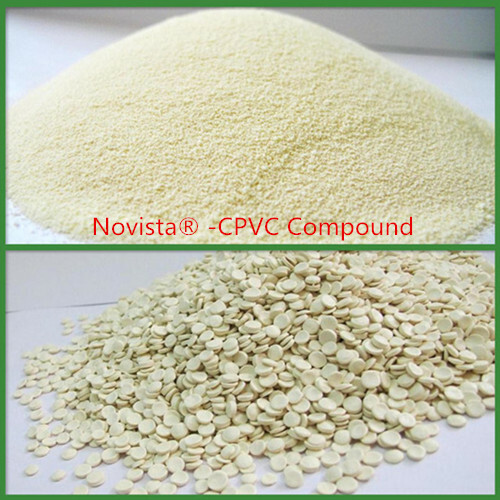 Compound material : the CPVC compound material that is compounded by CPVC and certain inorganic or organic fibers has good shock resistance and its heat resistance is better than other resin's compound material. It can be produced into sheet, pipe, corrugated plate and profile shapes etc. 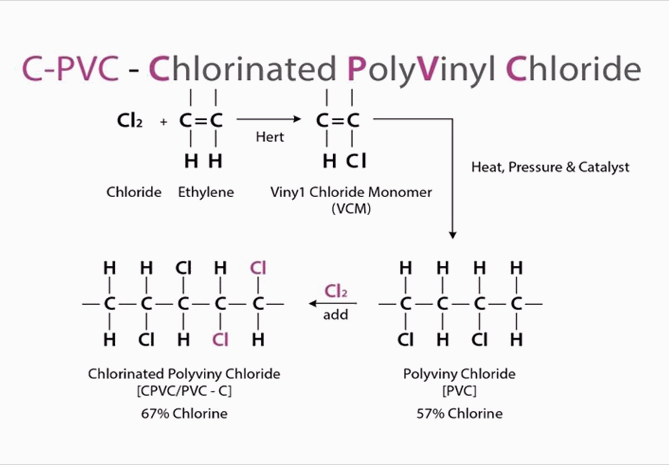 CPVC can be used for modification of polyvinyl chloride fiber: the cleaning-solarization temperature of home-made polyvinyl chloride fiber will not be more than 60˚C. Adding 30% CPVC while weaving the polyvinyl chloride fiber can greatly improve the heat resistance of the product and reduce the shrinkage from original 50% to less than 10%. Foaming material: The heat resistance of foaming material of CPVC is better than that of PVC. The shrinkage at high temperature is very small. It can be used as heat preservation material of heat water pipe and steam pipe and so on. The retentivity to solvent of CPVA with chlorine content more than 60% is very good. 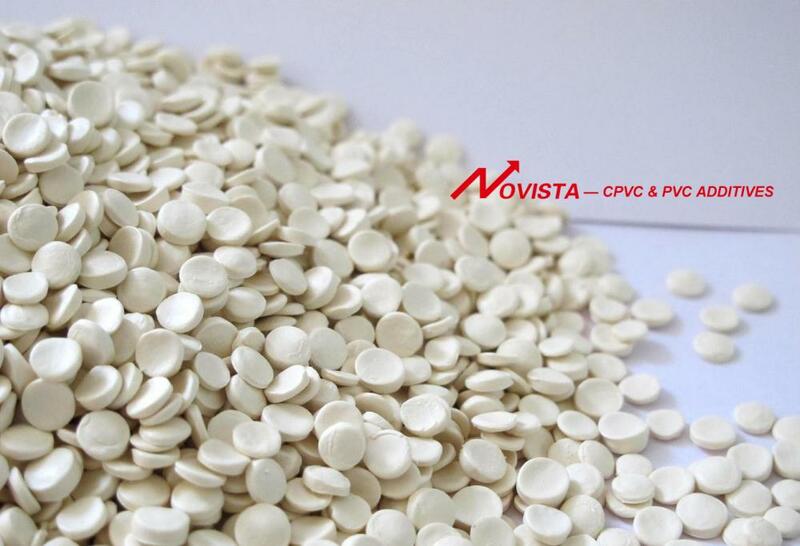 The CPVC can be put into the solvent for foaming which can produce the gas while heated, and you can get the homogeneous and mipor foaming gas. The solvent such as hydrocarbon, aether and aldehyde etc with boiling point of 50 - 160˚C can be used as vesicant. Others: the crossblend of CPVC and thermoplastic or heatcurable plastic can remarkably improve the physicomechanical properties of these materials such as improve the heat resistance of the product. The foreign countries have produced the CPVC with higher impact resilience and better transparency through improvement of production technique. This kind of transparent material can be used for products of automobile, CD and audiovisual products. It has good economic benefit. 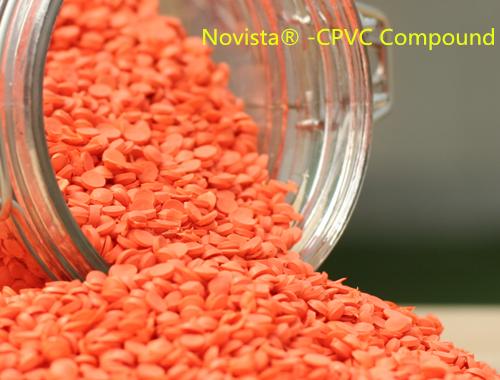 Looking for ideal Cpvc Granule Injection Manufacturer & supplier ? We have a wide selection at great prices to help you get creative. 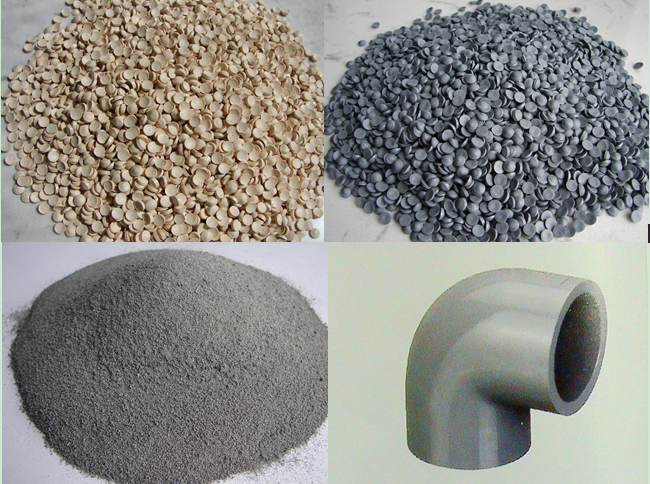 All the Cpvc Compound Granule Grey are quality guaranteed. 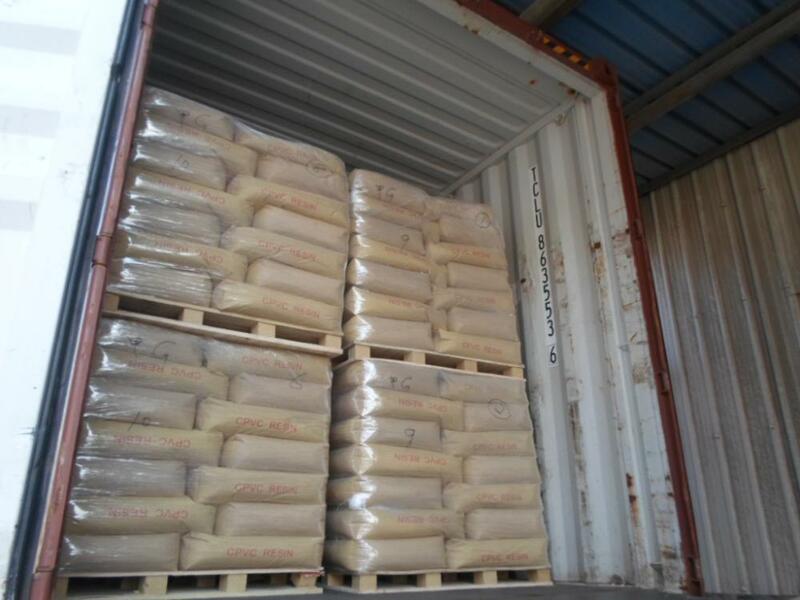 We are China Origin Factory of Cpvc Compound Granule. If you have any question, please feel free to contact us.